The scope is in a stack of equipment. The On-Off switch is in the back so it's not as easy to power up. This was part of the first generation of digital oscilloscopes. The following quote is from an Agilent (formerly the Test & Measurement division of HP) paper on the use of microprocessors in instruments. 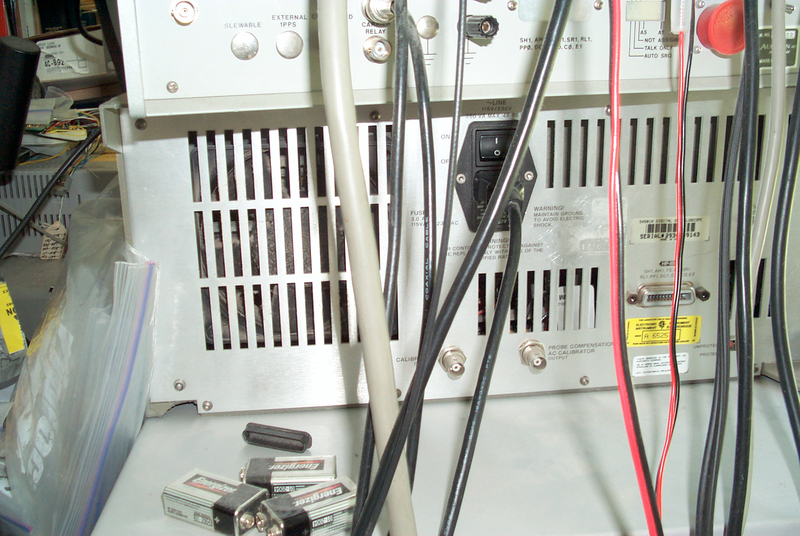 "Oscilloscopes have had a "bumpy ride" as microprocessors have been incorporated into their design. The first generation of programmable oscilloscopes had a bland front panel with several pushbuttons and one control knob. This was an excellent design concept if the instrument was only ever going to be operated using a computer, but if it was to be operated manually the multilayer menus were so different from the traditional analogue instrument that few engineers were able to operate them efficiently." This quote applies to all of the 54500 series HP scopes. 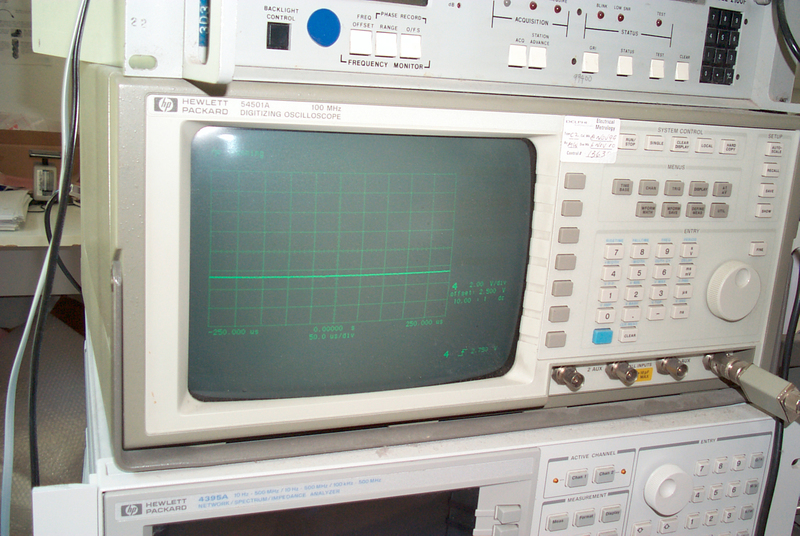 The scope does have an IEEE-488.0 interface to allow computer control. It also has the ability to so a screen dump to a printer using the IEEE-488 buss, but this type of printer was obsoleted by the PC style printers that run from a parallel port, and later also a serial port. There are National Instruments has instrument drivers available for use with LabVIEW. This is the time this page has been accessed since since 26 March 2002.